factors have contributed to this recent downturn in relocation. So why are so few candidates willing to relocate for work? Age is one factor. Experienced candidates who are a good fit for high-level positions are getting older. They’re settled. They’ve got a mortgage, kids in school, and a family pet. With all that at stake, relocation is a difficult choice to make. When both spouses are working, relocation is an even harder sell, as the other spouse now has to find employment in a new area. Perhaps the biggest contributor is the decline of social trust over the past decades. When faced with the choice of relocation, placing trust in a new company, town and even neighbors is a daunting prospect. What does this mean for corporate recruiting? There are several implications for businesses looking for passive talent in jobs that would require relocation. Contingency and retained firms have already started to move towards roles that do not require relocation, such as virtual offices, or hiring in saturated areas. For example, these firms may start heavily recruiting for financial roles in New York City, a densely populated area with a high number of qualified candidates for those positions. This means that it is increasingly difficult to get traditional recruiting agencies to actually recruit. Because traditional agencies will expend more time and money for a role requiring a relocation than they have in the past, the natural inclination is to not pursue these search assignments. If these firms do find themselves taking on a search that requires relocation, it will be a very low priority. This difficulty in finding candidates that would require relocation poses two interdependent issues for companies looking to hire top quality talent. First, recruiting costs are likely to increase as it often takes more time to fill a position requiring relocation. More prospective candidates need to be found, more conversations will need to be held with them, they have to be vetted, and then answer the big question, “Are you ready to talk about relocation?” Companies may also need to offer larger signing bonuses, stronger relocation packages, provide assistance to the “trailing spouse”, etc. to convince a candidate the job is worth the move. 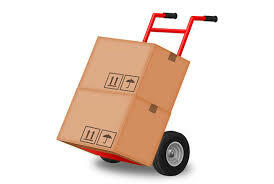 So what can recruiters do to encourage relocation? We’ve been in your shoes. Because we know what it’s like to be a corporate recruiter, buying the same services we now provide, here are four proven strategies to encourage candidate relocation. While levels of fluidity in the job market have dropped across the board, they do vary greatly from state to state. It is critical to identify where those areas are with the highest levels of candidates willing to relocate. Consider that the states with the largest drops in relocation rates (fluidity) are Oregon, Wyoming, Washington, South Dakota, Montana, Idaho, and Alaska. If the candidate is from one of these states, it may be difficult to convince them that a job across the country is worth the move. Conversely, states with higher levels of fluidity, like North Carolina, South Carolina, New York, New Jersey and Illinois, may have candidates that are more open to relocation. Candidates want job security. They need increased social trust when considering a prospective employer. For example, employers could point to the absence of layoffs in their history. If there have been past layoffs, employers should be able to explain why they happened, and why they are not likely to happen in the future. One way to increase social trust is to allow current employees to speak about the positive relationship they have with the company. 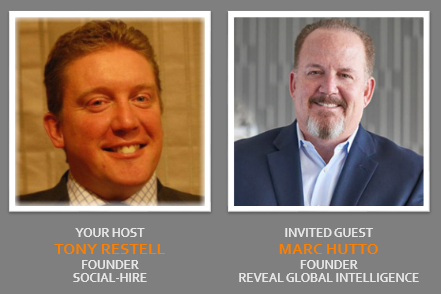 Here at Reveal, we use the Incumbent Interview™ tool to glean valuable insights from current employees. Many times, a candidate doesn’t get first-hand information about their prospective employer until late in the hiring process. With the Incumbent Interview™, we deliver this information in the very first conversation, so a candidate can see for themselves why current employees chose to work there and why they continue to stay. This information creates an invaluable foundation for social trust with candidates. We’ve created the Employment Value Proposition (EVP) Decision Support Tool™ as a way to help candidates evaluate the factors involved in a new job versus the same factors in their current job, to make a fully informed decision. When a passive candidate sees a tailored, detailed comparison of the new job opportunity versus their current one, they may realize the incentives offered at a new position are worth the hassle of relocating. On the other hand, if the relocation package they are offered isn’t competitive enough, they may determine that staying put is the better option. Consistently, we approach passive candidates by employing Purpose-Driven Recruiting™. 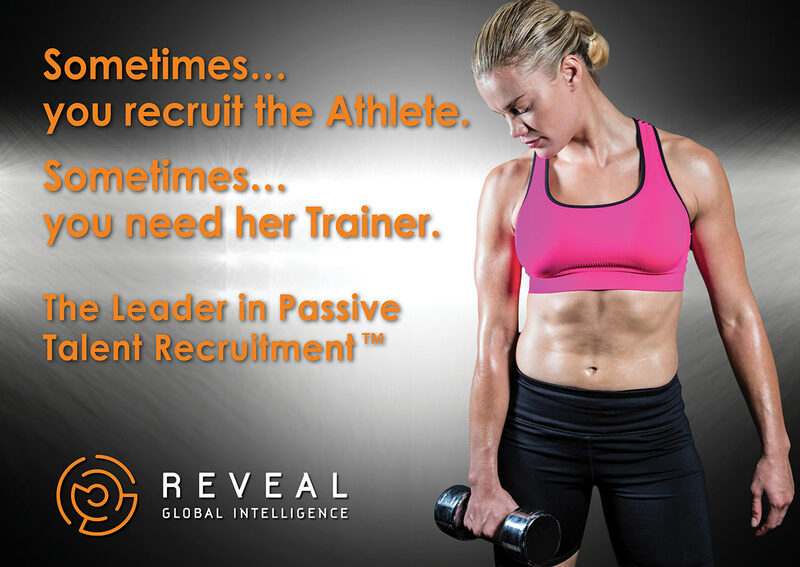 Reveal reaches out to candidates, encouraging them to consider the circumstances under which they’d consider making a career change, including relocation, using our Career Drivers™ tool. We ask them to review everything in this document from compensation and leadership to their desire to do meaningful work. Often, candidates haven’t given a lot of thought to many drivers on the list. When asked to assess their drivers, they engage directly with what propels them forward in their career. Using the Career Drivers™ tool can give recruiters mad insights into what candidates consider most important when considering a career change or relocation. "As a professional considering a move to a new market, the biggest considerations for me were related to family, cost of living and quality of life. For other potential transferees, having dual-income households creates complexity on its own, but also having children and extended family all weigh into whether a move to a new city makes sense. Short distance moves across state borders might not impact the family considerations too much, but can have major cost of living implications. Finally, considerations like personal activities, interests and cultural nuances might seem almost trivial, but they often carry the weight to shift the balance in decisions of staying v. going." Social Trust cannot be overstated. The recruiter can earn and establish trust by demonstrating a genuine concern for the social interests of the candidate. Assisting the candidate in building mutual trust with internal teams and external communities can be facilitated by an effective recruiter. The recruiter and anyone else involved in onboarding should be suggesting community meetups, local social sites or events that focus on diversity and inclusion. “In Portland, we have an event called SayHey, for instance”, that Charlie values and also recommends. Early connection to one or more members of an internal buddy program can provide the candidate with the foundation for Social Capital. Strategic, well-intentioned action is required for success in coaching candidates to examine and determine if relocation is in the best interests of their career and family.